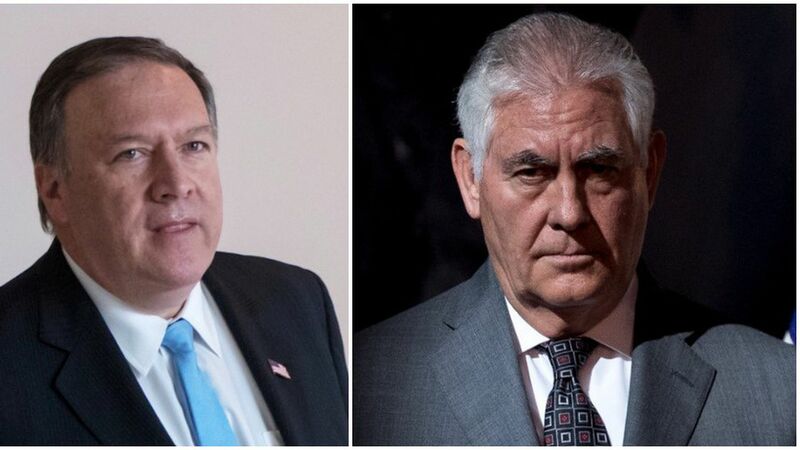 Trump advisors and allies are floating the idea of replacing Secretary of State Rex Tillerson with CIA director Mike Pompeo, age 53 — someone who's already around the table in the Situation Room, and could make the switch without chaos. We're told that President Trump is quite comfortable with Pompeo, asking his advice on topics from immigration to the inner workings of Congress. Pompeo personally delivers the President's Daily Brief, making him one of the few people Trump spends a great deal of time with on a daily basis. Trump doesn't see Pompeo as a showboat. Pompeo would take the job, as the cap to a career that included being a U.S. House member from Kansas. Pompeo would have credibility with world leaders, who'd know he was a legit part of the president's inner circle — something no one thinks about Tillerson. Sources tell us Trump recognizes that a Cabinet shuffle would bring bad press. White House Chief of Staff John Kelly wants stability, and so is discouraging high-level departures before next year. And yet, insiders say Trump's relationship with Tillerson is broken beyond repair. We're told Trump was furious that Tillerson didn't try to blunt the story about him calling the president a "moron," by just going out and denying it (whether or not it actually occurred). After what Trump considered a strong trip to Vegas, he seethed when he got back and saw Tillerson's gaffe dominating cable-news coverage. Everywhere he flipped, there was Tillerson's face instead of his. The relationship is so toxic, sources tell Jonathan Swan and me, that few in the White House think it can be rebuilt. There's zero trust between the West Wing and the State Department. NBC, which broke the "moron" story, said the chief of staff "abruptly scrapped plans to travel with ... Trump on Wednesday so he could try to contain his boss's fury." Be smart: The breakdown in the relationship between a president and the Secretary of State has profound effects on American statecraft and the way foreign countries view this administration.